In the course of our project, we were collaborating with several other iGEM teams from around the world. 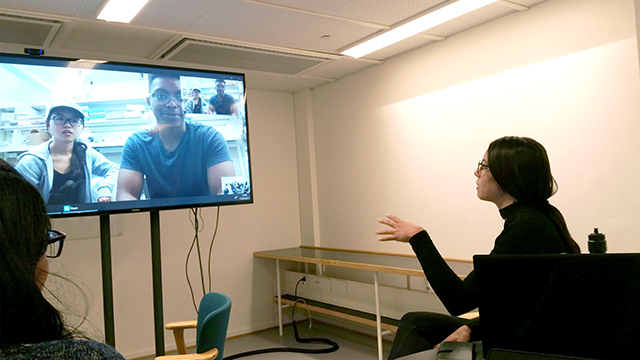 We had several Skype calls with Tec-Chihuahua and one of their team members, Alejandra Ogaz Ramoz, visited us 26.7.2017 at Aalto University, Finland. Since Alejandra is a law student, we discussed about the European Union’s strict GMO legislation in hopes that it would help team Tec-Chihuahua to create transgenic food legislation ideas for Mexico. We also provided the Mexican team with useful links from the EU’s websites and the Tec-Chihuahua team’s law students helped us to investigate the legal issues on patents for the usage of the antimicrobial peptide dermcidin especially for skin care. Tec-Chihuahua researched the regulation of the European Union patents, as well as their durations and effects. During the visit in Finland we put Alejandra and three of our own team members (a Finn, a Pole and a Turk) to a Finnish sauna in order to get sweat samples from different nationalities to see if there might be some differences in the dermcidin levels. We did a BCA assay of the samples that showed that there were proteins in the samples and their amount matched the amounts in literature, but could not dig deeper since we only had a very small amount of the expensive, synthetic dermcidin to use as a standard and had to therefore decide between ELISA and antimicrobial activity assay. Thus, we could not measure DCD from sweat since we deemed it to be the less important of the two. The most interesting observation from our sauna evening with Tec-Chihuahua member Alejandra from Mexico is that the Finnish sauna is simply not nearly enough to make a Mexican or a Turk to even break a sweat since it took a while to make them sweat. The same can not be said of the Pole or the Finn in the sauna, so it would be an interesting investigation for the future to test if there really is a difference in Dermcidin levels of the people living in different climates. We were happy to collaborate with the first in history Estonian iGEM team - Tartu_TUIT from Tartu University. The team - consisting of science and technology students for the most part - asked us to help with creating and updating the Wiki. We soon organised a Skype call with the team, and exchanged possible collaboration ideas from our side: for example the chance to get access to a Biosafety Level 2 laboratory for testing the antimicrobial activity of our peptide with Propionibacterium acnes. 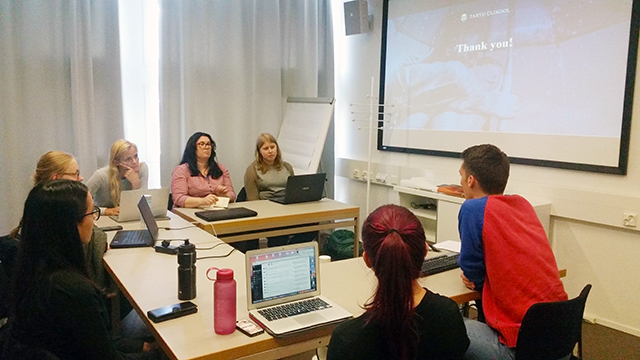 Further discussions brought two students and their two instructors to Helsinki, to meet us, get help with the wiki and discuss our projects! The team arrived in Helsinki in the late morning, and so for starters we had lunch in the city center. It was interesting to learn about how the first team in Estonia had been brought together and how their practices differed from ours. We proceeded to the Helsinki University library, where we had a room booked. We started with a wiki presentation. Meo explained how websites are built, what are some of the tools used and what .html and .css syntaxes look like. He provided the team with a handout, some useful links and a Python script made by Aalto-Helsinki iGEM 2016, with which all wiki content can be uploaded on the iGEM servers with one command. Tartu_TUIT presents us their project. After the wiki session, we presented the Tartu team our project and they presented theirs to us. We got very valuable feedback to our laboratory work from both the students and instructors of the team. As a special mention, they suggested using liposomes for testing the antimicrobial properties of our constructs, as we had not managed to acquire access to a Biosafety Level 2 laboratory. After the discussion, there was still some time to walk around the sunny Helsinki and discuss our universities, educational programs and iGEM in general. We are thankful for having the Tartu team visit us and exchange knowledge and ideas. Most great advances have been a collaboration. That is the joy of science for me. Harvard’s team contacted us and offered a collaboration in human practices. The idea was to see how people view bio-manufacturing opposed to currently common factory methods. This way Harvard’s team could analyze the differences in the interaction between culture, political regulations, and people’s perceptions of bio-manufacturing since they would have answers from both Europe and the USA. 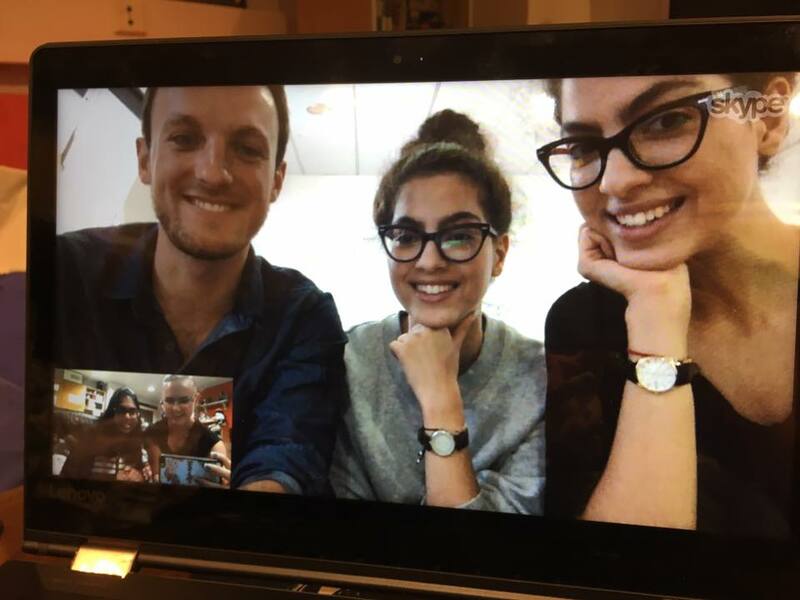 We had a conversation via Skype to develop the collaboration further and spread the world to other European iGEM teams in order to get more responses. The actual collaboration consisted of coming up with some questions and commenting on the questions by other teams on Harvard’s Global Perspectives Outreach (GPO). The other teams involved in the survey were Linkoping, AQA_Unesp and Hamburg. We also distributed the survey through our social media channels and gave our thoughts on how to process it. For participating team Harvard gave us the results to use in our own human practices, but unfortunately despite being distributed in several countries only 30 people answered it and therefore one cannot draw any proper conclusions of the survey. We noticed Düsseldorf Cologne’s announcement on the iGEM collaborations page and decided to participate to this fun idea. 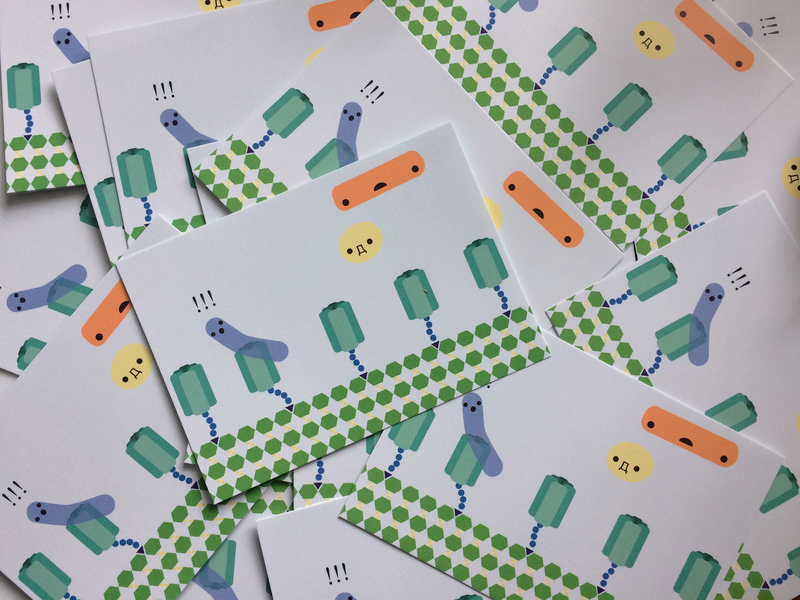 Therefore we designed a synthetic biology postcard about our project according to the organisers instructions and send 200 postcards via Düsseldorf Cologne’s team all over Europe, so that we could in exchange get a mix of all the other postcards from all the other team. The postcards were then distributed in different events like Biotech Tour in Heureka, Turku presentation and Aalto University’s events. We had lengthy and productive discussions about our projects and human practices with team Hamburg while at the European iGEM Meetup in Delft (the Netherlands). We also tried to have a bigger collaboration with team Hamburg and team TU Delft in which Team TU Delft would have provided us with folding-related tardigrade proteins which might have allowed us to send our peptide dermcidin to team Hamburg’s Biosafety Level 2 laboratory without loosing too much activity. 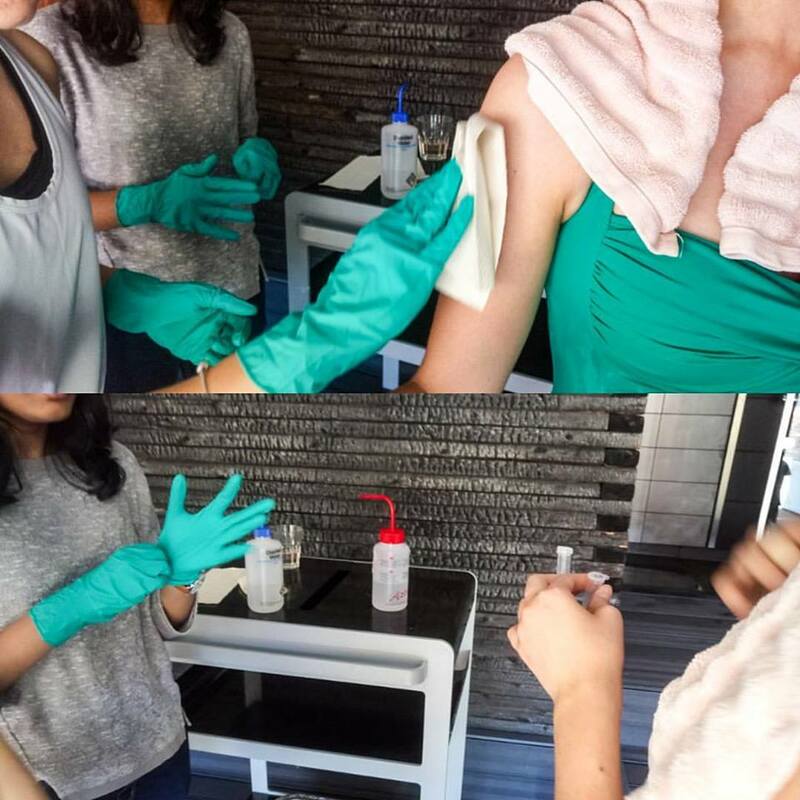 This would have allowed us to access safety level two bacteria essential to our application like Propionibacterium acnes in order to test dermcidin’s antimicrobial properties further. Unfortunately this did not work out due to time limitations, but it would have been an interesting collaboration. In addition to the bigger collaborations we also Skyped with UPMC-Paris and UPS-INSA Toulouse, as well as distributed and answered the surveys by CCU Taiwan and iGEM IONIS-PARIS. We also gave our Finnish video with English subtitles about synthetic biology to team Tübingen’s YouTube channel, which we found from the iGEM collaborations. This gave more views for our video and helped to spread knowledge about synthetic biology while also giving more content to a fellow iGEM team’s YouTube channel. The channel and our video can be found here. The Purdue University team approached us through email, as the previous Aalto-Helsinki team (2016) had built a very cool and trendy wiki page, and they wanted to do something similar! We directed them to some of the internet’s best resources to get started with web development and shared with them some code from the previous team, in order to highlight features that they wanted to implement.